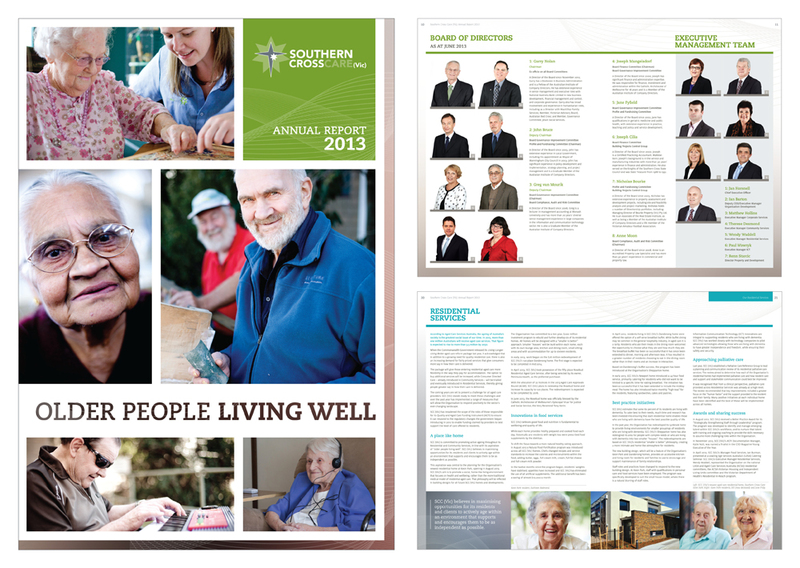 Southern Cross Care (Vic) 40 page A4 Annual Report 2014. 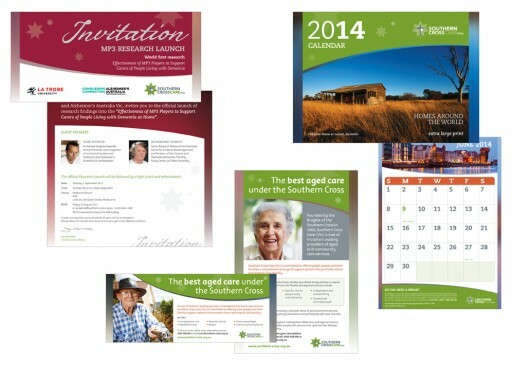 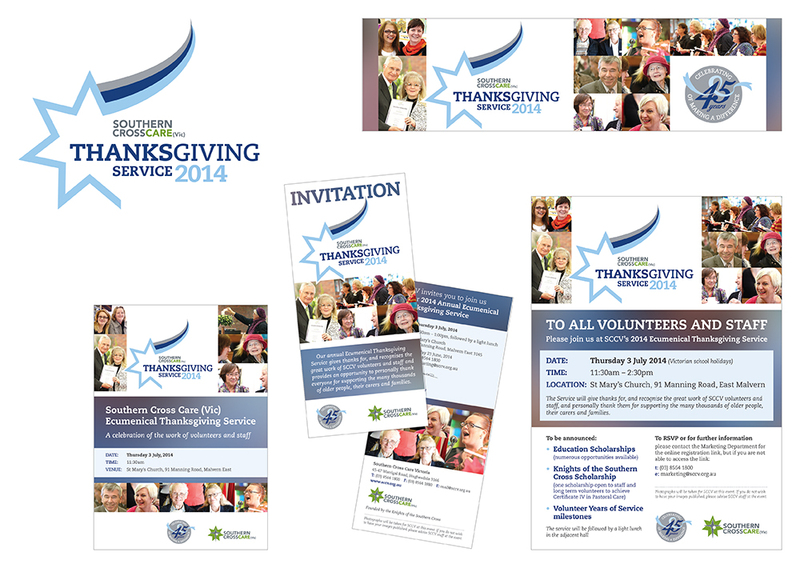 Southern Cross Care (Vic) Thanksgiving Service 2014 items include a visual identity, website banner, A5 booklet, 2 page DL invitation and an A3 poster. Southern Cross Care (Vic) visual identity for the 6th Annual Mother’s Day Brunch and an A4 poster. 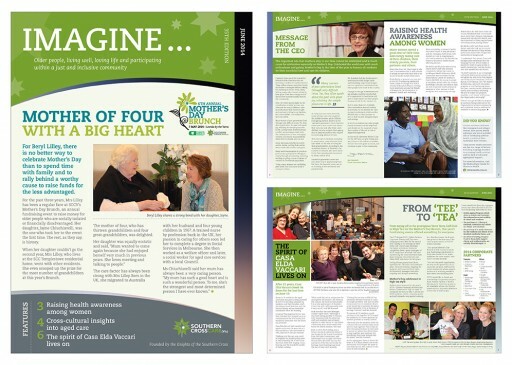 SCC (Vic) 8 page A4 IMAGINE June 2014 edition newsletter. Southern Cross Care (Vic) 48 page A4 2013 Annual Report. 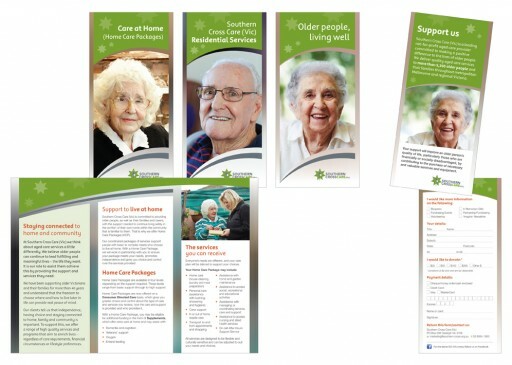 Southern Cross Care (Vic) Keon Park new development items include a 6 page DL brochure, various adverts, banners, posters and invitation for open days. SCC (Vic) 4 page DL invitations, various adverts and a 2014 large format 13 months calendar. 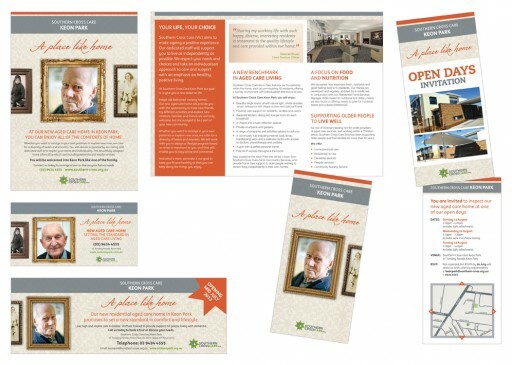 SCC (Vic) 6 page DL brochures and a 2 page DL donation flyer. 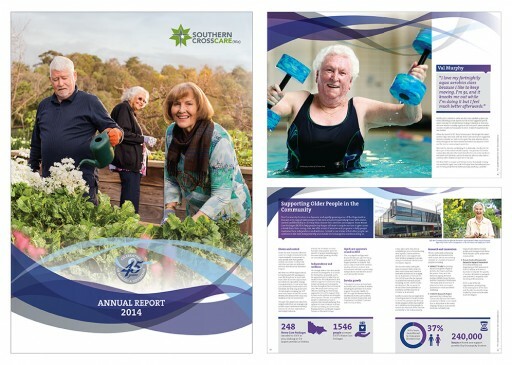 Southern Cross Care (Vic) visual identity for 10th Annual Corporate Charity Golf Day and Save the Date email. 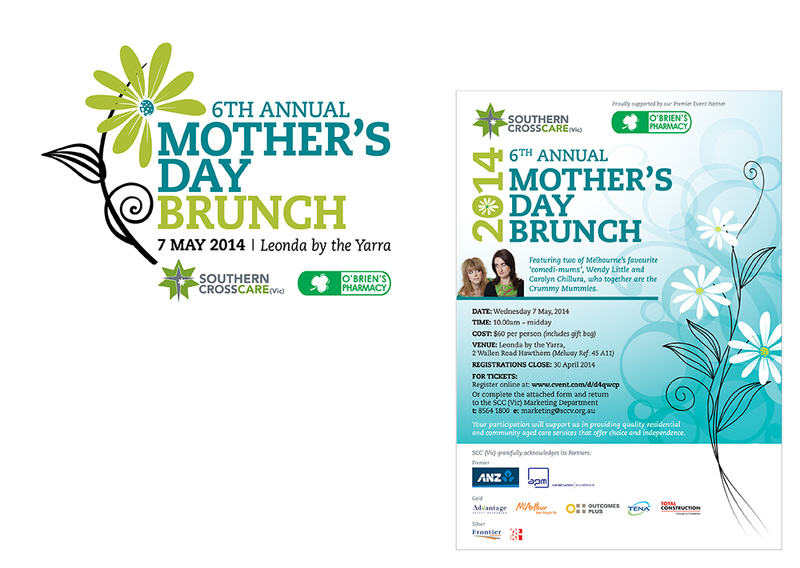 Southern Cross Care (Vic) visual identity for the 5th Annual Mother’s Day Brunch and an A4 poster. 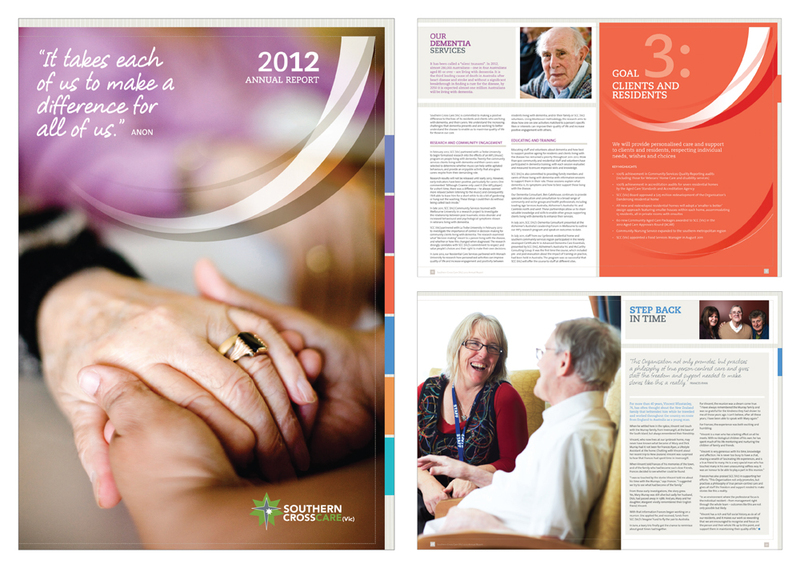 Southern Cross Care (Vic) 48 page A4 2012 Annual Report based around the six goals. 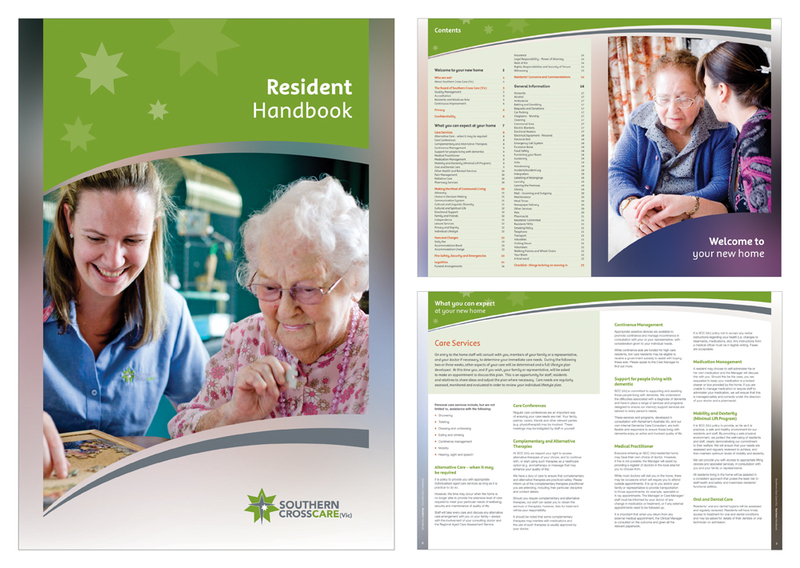 Southern Cross Care (Vic) 24 page A4 Resident Handbook. 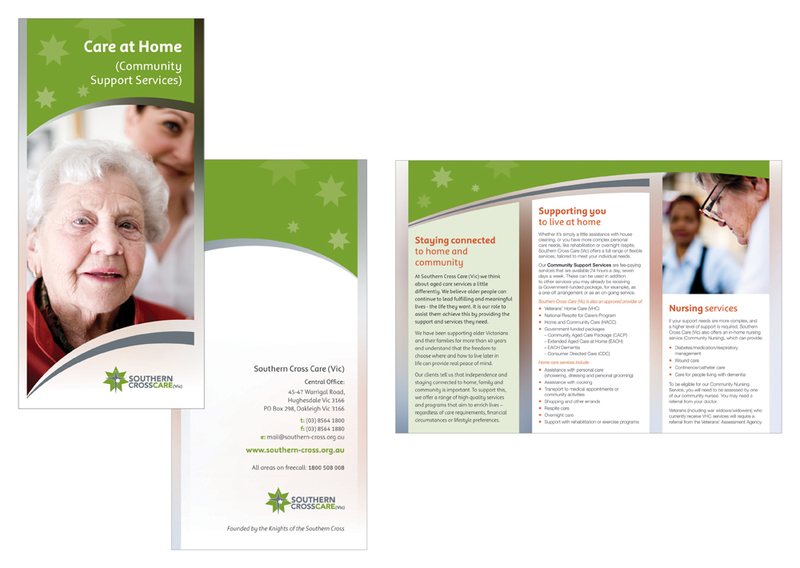 Southern Cross Care (Vic) 6 page trifold DL Community Support Services flyer.